There are many causes for sore muscles, several due to injury through sports, car accidents, and everyday stress. Stress especially causes the muscles in the neck and shoulders to spasm. Muscle spasms are painful and can impact every day normal activity. A muscle spasm can also occur when muscles are tired, over-used or over-extended. The body can be low in specific minerals; magnesium and calcium in particular and instead of reaching for over the counter painkillers, or prescription painkillers, try using natural muscle relaxers. There are many that can help relieve pain, calm spasms, and even help with sleeping. Lavender has been used for centuries as both a calming, sleep inducing herb, and to relieve muscle pain. 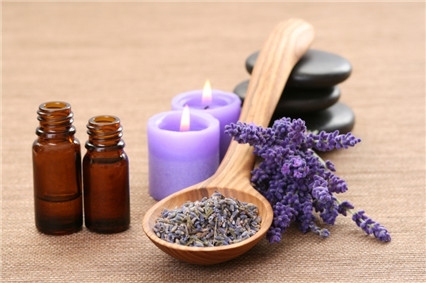 There are several ways to employ the use of Lavender as a natural muscle relaxer. Rubbing a few drops on the temple and relaxing is one way. Another great way to use the herb Lavender is to put Lavender essential oil in a warm bath. The warm water will increase blood flow to the muscles, and the scent will induce a calm relaxed state for sleeping. Rosemary is a natural muscle relaxant which has many uses. It is also great to use for abdominal cramps due to menstruation. These are some ways to use Rosemary. Put Rosemary essential oil in a warm bath to reduce muscle spasms. It is great for the relief of joint stiffness and muscle spasms. Sprinkle Rosemary essential oil on a warm compress and apply to the areas of joint or muscle stiffness, soreness and pain. It actually warms the muscles and allows them to stretch. 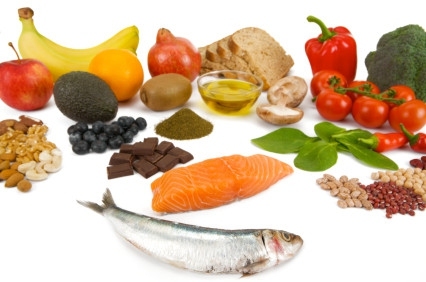 Diet can be one of the causes of muscle pain. The lack of adequate vitamins and minerals can cause muscles to spasm, and be more likely to be injured. Increase calcium and magnesium by eating more foods that are high in magnesium or take a supplement. Foods high in magnesium are squash, pumpkin seeds, Swiss chard, cocoa powder, black beans, flax, sesame, and sunflower seeds, almonds and cashews. Increasing magnesium and calcium in the diet also helps to repair damaged nerve endings. Magnesium cream for muscle pain is great to rub on shoulders and back to relieve pain and stiffness. The magnesium is absorbed through the skin for immediate relief of muscle pain. Foods rich in calcium include dairy products, soybeans and fortified foods, etc. 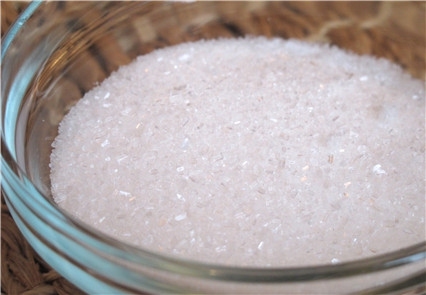 Epson Salts or magnesium sulfate has been around for years as one of the best natural muscle relaxants. It works best when added to a warm, not hot tub and soaked in for 15 minutes or until the waters gets cool. It works by drawing extra fluid build-up in the muscles out. It is that fluid that contributes to the stiffness in the muscles. 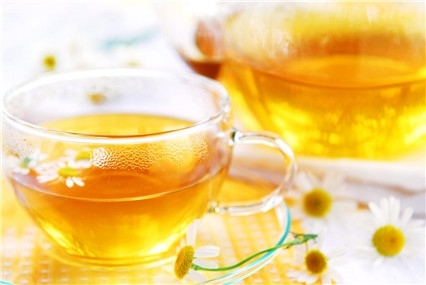 Chamomile tea has a calming effect on the body reducing anxiety and stress. This is especially great when muscle tension is due to stress. It also promotes restful sleep which is when muscle repair takes place. Drinking is tea is proven to be a great option of natural muscle relaxer. Stretching before and after exercise helps prevent muscle injuries. By gently stretching the muscle, it is warming up and will be less likely to suffer a tear during exercise. Also, stretching after exercise draws lactic acid out of the muscles. Lactic acid build up along with micro muscle tears are the biggest cause of stretching after exercise. One might consider also taking Yoga and Tai Chi. One can also go through all the muscles of the body, tensing and releasing each major muscle group starting with the hands, arms, shoulders, legs just tensing and releasing. Massage is a great way to loosen tight muscles, disperse lactic acid build up, and induces deep relaxation. These days the cost of massage has decreased significantly. You can either have someone do for you at home or go to a massage parlour. Cayenne pepper with the active ingredient capsaicin is an antispasmodic, anti-inflammatory, and it increases body heat and strengthens the heart without increasing blood pressure. 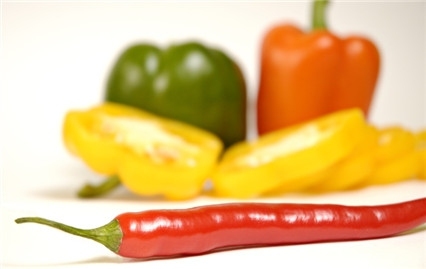 Capsicum or capsaicin cream can be found in most health food stores. Be sure to check with your physician before using. Spices can have amazing effects on the body. 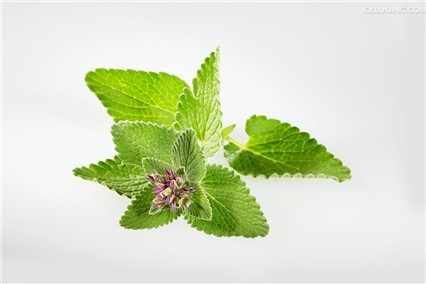 Catnip is a member of the mint family and not just for kitties. It is natural muscle relaxer and muscle pain reliever because it is an antispasmodic and is soothing to the nervous system. Though in cats it produces a hyper, joyful feeling, in humans it has the opposite effect. It is calming and soothing. It is usually ingested as a tea.